“For the short-term impact on the nation’s economy, the Federal Reserve’s raising of interest rates has generated a lot of attention, but over the long term, rising graduation rates are much more important for the nation’s economy," said Gov. Wise. 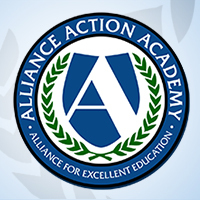 New data from the Alliance for Excellent Education demonstrates how graduating more students from high school creates new jobs, increases consumer spending, boosts tax revenues, and increases the gross domestic product. 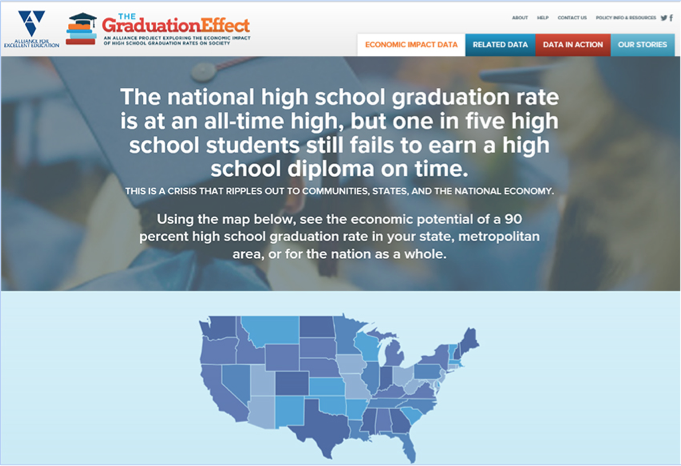 This “Graduation Effect” data is available for the United States as a whole, all fifty states and the District of Columbia, and more than 200 metro areas nationwide at impact.all4ed.org. 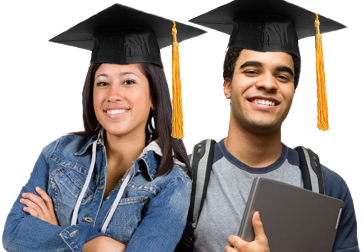 To put human faces on the economic gains associated with higher high school graduation rates, the Alliance is partnering with Communities in Schools (CIS), a nonprofit organization working to keep kids in school, to feature young people who overcame personal and educational challenges in their pursuit of a high school diploma. Additional stories come from Talitha Halley, who relocated with her family to Houston, Texas, after Hurricane Katrina made her and her family refugees, and Jamal Tate, who had several run-ins with the law and served jail time during his senior year of high school but graduated from high school and college. 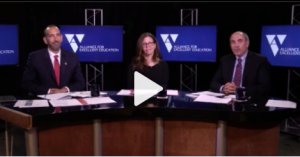 In December, the Alliance hosted a video webinar examining these economic findings in more detail, as well as how to ensure that more students stay in school and earn their high school diploma. It featured Wise, Saldaña, Cardinali, and Cheryl Oldham, vice president of education and workforce at the U.S. Chamber of Commerce Foundation. The Graduation Effect, which is made possible through generous support from State Farm®, builds on the Alliance’s previous work connecting improved education outcomes to economic benefits. Visit impact.all4ed.org to explore the findings and see additional information, including technical notes and frequently asked questions.